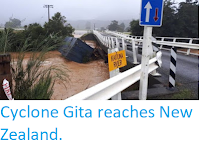 Sciency Thoughts: Homes evacuated after chemical spill in Ortago, New Zealand. Homes evacuated after chemical spill in Ortago, New Zealand. 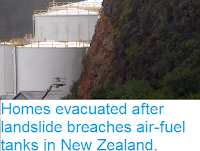 A number of homes in the town of Milton in the Otago Region of South Island, New Zealand, were evacuated following a chemical spill on Friday 7 September 2018. 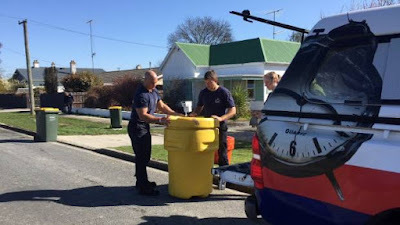 Crews from Fire and Emergency New Zealand were called to the scene after a 25 litre drum of the chemical Chloropicrin (CCl3NO2) sprang a leak. 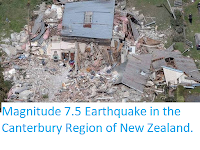 Homes within 300 m of the incident were evacuated while the chemical was cleaned up by crews wearing specialist protective clothing, and people have now been allowed to return to their homes. Two members of Fire and EmergencyNew Zealand remove a drum containing the chemical chloropicrin from a residential street in Milton, Otago. Mary-Jo Tohill/Stuff. Chloropicin is widely used as a broad spectrum microbial, fungicide and pesticide, particularly in agriculture where it can be used as a fumigant - injected into the soil in a liquid form, where it forms a gas that kills agricultural pests. The chemical is toxic and carcinogenic (it was used as a chemical weapon during the First World War and is still essentially used as a poison today), and due to its volatile nature should only be handled by people with specialist training wearing appropriate protective clothing. Asteroid 2018 SD2 passes the Earth. Almost 200 dead in Nigerian floods. Asteroid 2018 RM7 passes the Earth. Atlantic Storm Ali kills two in Ireland. 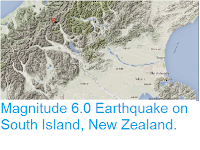 Magnitude 5.6 Earthquake in Western Australia. Hurricane Florence kills four in North Carolina. Asteroid 2008 PW4 passes the Earth. Typhoon Jebi leaves at least ten dead in Japan.